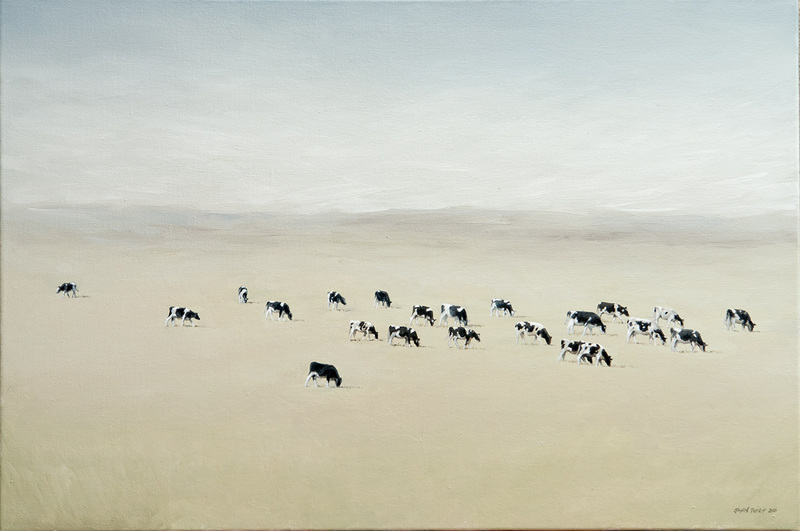 Oil painting of some cattle grazing in an open field during winter. Finally got round to finishing a painting I started years ago. Was inspired by a photograph I took in 2008 of a herd of cattle near the Nanaga Farm Stall (Eastern Cape, South Africa).